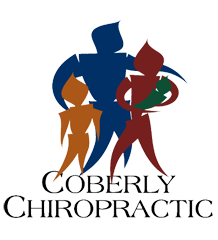 Why Shin Splint Sufferers Should Consider Chiropractic – Coberly Chiropractic, Inc. Whether you are an avid exerciser, an exuberant shopper, or a small child chaser, you have probably felt tightening and burning in your shin at one point in your life. Sometimes, the pain stops when the activity ceases, but other times the pain remains. If shin pain continues bothering you, it may be time to face the fact you have shin splints. The shin is a bone located in the front part of your lower leg. Shin splints commonly occur in athletes who have intensified or changed their training routines. They also show up in regular people who have changed or added activity to their routine. The shin has a lot of responsibility during exercise, as it absorbs the shock of the steps, raises the toes, and support the arch of the foot. Individuals who perform any type of exercise should take appropriate measures to alleviate the above risk factors of shin splints. If you notice pain and soreness in the front part of your lower leg, know how to treat this injury properly. If rest and ice aren’t doing the job and you’re still suffering pain, it’s time to see a doctor. A thorough exam and possibly an x-ray will diagnose the problem. Chiropractic is proven to relieve the pain associated with bodily injuries and medical conditions, including shin splints. Sometimes one visit is enough to relieve the pain, other times the pain decreases over a series of appointments. Being able to diminish a high degree of pain down to a manageable level is possible for shin splint patients through chiropractic. The premise behind chiropractic is that it treats the body as a whole, and, in doing so, promotes healing and health to the injured or diseased areas. A chiropractor may work on your neck to help your calf. With shin splints, he or she may align your spine and joints to lessen the impact of activity on your shins. Again, the entire body is treated in order to create the best environment for health restoration. Treating shin splints is a common procedure for chiropractors. Common practice is to adjust the calf, ankle, and foot to stretch and increase blood flow to the area. A primary benefit of chiropractic care is it requires no over-the-counter or prescription drugs. Individuals who suffer from stomach issues, or simply prefer to avoid drugs, find chiropractic visits a productive alternative to manage pain and promote healing. Chiropractors don’t just treat the spine. Your Doctor of Chiropractic will set an overall plan of attack for optimal recovery when dealing with shin splints. It’s routine for chiropractic treatment of shin splints to include a series of stretching and strengthening exercises the individual performs at home between visits. These exercises further expand on the positive effects of the chiropractic therapy. If you are one of the many people dealing with shin splints, don’t despair! Consider chiropractic care as your main treatment option or in conjunction with other modes of treatment. Within a few visits, you will experience pain reduction, and enjoy a decreased risk of ever dealing with painful shin splints again.